Metal is low, and it is effecting how much we pay you. Know what you have when calling us. We will pay more if the engine or transmission is good on junk cars. China is playing a huge roll on why metal around the world is so low. They aren’t building as much as they use 2. We can still buy your car. We are paying top dollar for Honda, Jeep, and any late model still. 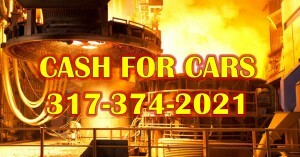 Metal is at $80/TON this is low, but we still will pay you more if your car has good parts! It is suppose to be all the way down to $40/TON by Christmas. Call us anytime for a quote on your junk car. Anywhere around the Indianapolis area suburbs and all we will buy your car. We have a tow truck and cash and tow 24 hours a day. We are hoping metal will go up soon but for right now your scrap car isn’t worth as much as it use to be. This entry was posted in Brownsburg, cash for cars, Danville, Greenwood, Indianapolis, Mooresville, southport, we buy junk cars, whiteland and tagged cash for cars, cash for junk cars, WE BUY JUNK CARS. Bookmark the permalink.